The Koi Watercolors Pocket Field Sketch Box set with my Kipling 100-pen set and my Lamy Safari Flame. Love how all the colors match, even though I got the items at separate times. 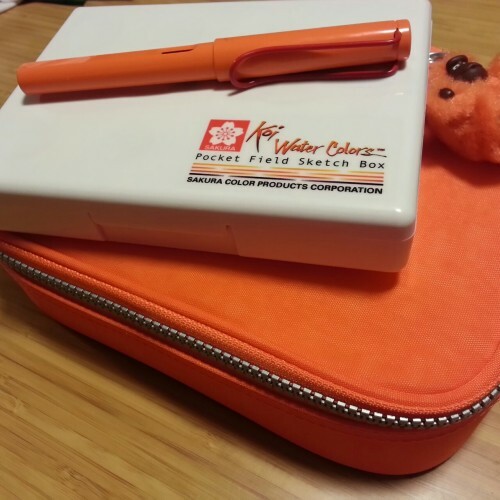 ← Koi Watercolors Pocket Field Sketch Box = AWESOME.